Why Does Adidas Sponsor Soccer Teams in Illegal Settlements? A hundred and thirty Palestinian sports organizations have called on Adidas to stop branding teams in Israeli settlements. Palestinian footballers are routinely forced to endure Israeli military raids and tear gas on our fields, denied by Israel our right to travel to matches, and have seen our teammates killed and our stadiums bombed. I was jailed by the Israeli occupation for three years without charge or trial and released only after a 96-day hunger strike and worldwide outcry. Palestinian players run this risk everyday, as they are forced to go through Israeli military checkpoints. All the while, the IFA (Israel Football Association) holds matches in illegal Israeli settlements, which rob us of our land, water, resources and livelihoods. Adidas’ sponsorship of the IFA prominently places its iconic logo on Israel’s abuses of our rights. The company must immediately cut ties with the IFA. These are the words of former Palestinian national-team player Mahmoud Sarsak, whose imprisonment by Israel in 2009 and subsequent hunger strike in 2012 launched an international solidarity campaign, which eventually secured his freedom. Now Sarsak is lending his voice, along with 130 Palestinian sports clubs, to an open letter to Adidas, urging the brand to cease its sponsorship of the Israel Football Association over the IFA’s acceptance of teams that form in illegal Israeli settlements in the Palestinian territories. 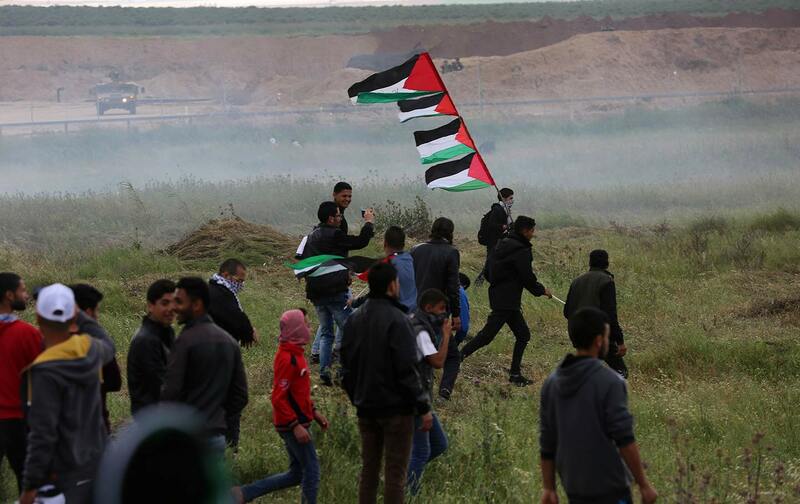 This call takes on a new urgency in the wake of last week’s mass shooting, according to The Guardian, of 773 Palestinians during protests by the Israeli Defense Forces. Fifteen people were killed. The Israel Football Association not only includes teams that exist in illegal settlements in their soccer federation; it also encourages the creation of even more teams, despite the condemnation of these actions by the United Nations. This amounts to the use of the “beautiful game” as a tool of ethnic cleansing and displacement in communities throughout areas that in theory could form the basis of a Palestinian state. The IFA is able to perpetrate these actions in part because it is backed financially by Adidas, a global corporation, with a brand value—according to Forbes—of $6.8 billion. The question that also hangs over the letter is whether a boycott campaign could provoke some of Adidas’s athletes to say or do something about the settlements. International soccer has long been a place where players have spoken out for Palestinian rights, and Adidas is also the sponsor of dozens of some of the most famous soccer players on earth, including Uruguay’s Luis Suarez and the Argentinian great Lionel Messi. An international campaign could also ricochet into US sports as well. NFL players who are human billboards for Adidas include Green Bay Packers quarterback Aaron Rodgers and Dallas Cowboys QB Dak Prescott. NBA players who are sponsored by Adidas include James Harden and Derrick Rose. Rose in particular has been outspoken in his support of the Black Lives Matter movement, being the first player to wear an “I Can’t Breathe” shirt after the police killing of Eric Garner in 2014. One wonders if Rose will become another athlete to see the connections between the Black Lives Matter struggle and the suppression of Palestinian rights, as activists across the world continue to make connections and find commonalities between their two struggles. However this ends, Adidas and the Israel Football Association have been put on notice: Sports will not be used as a tool of displacement or ethnic cleansing without confrontation and conflict. This story won’t remain on the athletic field, and the more attention it receives, the more Adidas will feel compelled to respond.